The CEMEX Community Fund was established in 2004 to distribute around £150,000 per annum to community-based projects through the Landfill Tax Credit Scheme. It is a scheme operated by CEMEX – the global building solutions company and leading supplier of cement, ready-mixed concrete and aggregates. 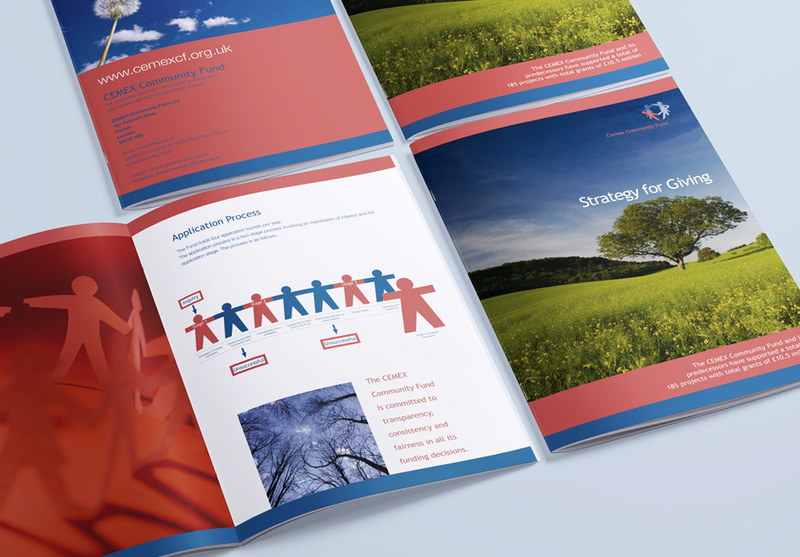 Lunatrix Design have designed a number of leaflets and booklets for the CEMEX Community Fund including the strategy for giving booklet illustrated above, which explains how to apply for funding for community restoration projects. We’ve also designed certificates and plaques for successful projects that have been awarded grants and funding.